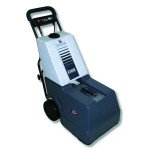 A compact carpet cleaning machine for quick, thorough cleaning of small and medium-sized areas. The cylindrical brush system enables the machine to be used on practically all textiles flooring. After just a short drying time, the area cleaned is ready to walked be on again. The product is equipped with a diaphragm tank made of sturdy plastic, the tank volume can be exploited to the full enabling maximum area coverage. VonShrader LMX is low moisture soil extraction system. It offers super fast carpet cleaning and drying and is easier than ever. Let the Weight do the Work – Our TriJet carpet extraction head is of full aluminium construction inclusive of our EasyFlo movement system to ensure professional performance. Easy to Operate – No special skill is needed to operate the system. Regular maintenance staff can do a professional job. Just fill the tank, press two switches and go. Dirty in front, clean in back. 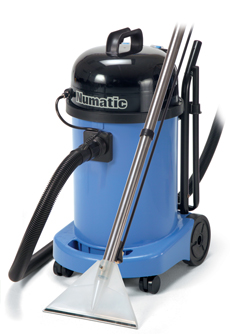 Lightweight, compact, portable – Outstanding unit weight/balance, speeds up the cleaning process, reducing operator fatigue. Performance and results are not sacrificed. Both the handle and tank are easily removed for space saving storage and transport. Easy, fast system access – The hood is easily removed for ready access to the entire system. Adjustments or do it yourself parts replacement are done quickly with no specialized service tools. Downtime and labor costs are minimized. Carpets are deep cleaned faster and they dry quicker with MACH 12. Take over the controls of the MACH 12, push the buttons and go from 0 to 12,000 sq. ft. per hour. The system, literally breaks he speed and performance barrier. Easy to Operate – No special skill is needed to operate the system. Regular maintenance staff can do the job perfectly. Clear View Recovery Tanks – have molded-in hand grips for easy, convenient handling. Because limited moisture is used there is less downtime emptying the tanks. Rugged, Durable Construction – The system is quality built to last. The hood lifts up for easy access to the entire system. There is no pump and no chance of recovered solution ever entering or damaging the vacuum motors. More Coverage, Less refilling Downtime – Because a low moisture cleaning agent is used, the system’s two six-gallon solution tanks are smaller and lighter weight. This gives more coverage per gallon than wetter systems. Aggressive, Deep Cleaning, full Bristle 24” Brush – Thousands of flexible nylon bristles rotate at high speed, penetrating all the way down to the base of the carpet. This loosens and suspends soil for immediate extraction. 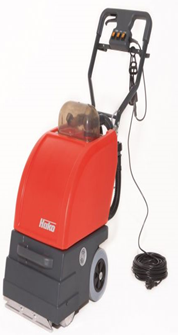 The CleanTec Hi-Lo 15 has been designed from the ground up to reflect the need for quick and effective carpet care with the minimum of preparation and effort. Easy to Empty – Two separate emptying systems, full removal of the dirty water tank or, where this is not practical, an integrated dump hose. Pressure When you Need it – Hi-Lo system allows pressure selection between Hi 4 Bar (60 psi) and Lo pressure 2 Bar (30 psi). On the Move 4 Wheel mobility and convenient handle provide total ease of transportation. 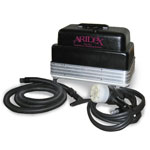 The aridex systems are fastest drying, easiest to use and save time, labor and money. It deep cleans the fine upholstery fabrics safely. Convenient in Use – It is designed with a smaller footprint and lighter weight. 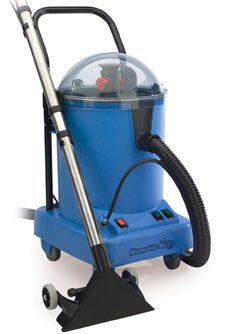 An ideal machine for smaller and confined areas. 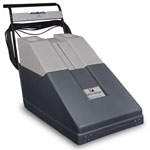 Wet and Dry Cleaning – Aridex is portable, self-contained system with quick wet and dry vacuum system to clean the dust and dirt from the upholstery fabric. Suitable for Fine Fabrics – Standard white bristle brushes are for fine fabrics and optional black stiff bristle brushes are for cleaning carpets. Dual counter-rotating brushes do not twist or distort fine fabrics. Use of Air Cell Bubbles – Uses air cell cleaning bubbles not gallons of water that eliminates the problems associated with wet extraction. Reduced Downtime – Dries quickly, often less than one half hour, reducing the downtime. The CT-470 is for those that need more operational time between filling and emptying to cover larger areas. The power head incorporates the high performance Twinflo’ bypass motor and Powerflo’ pump system ensuring efficient discharge and liquid collection. The container system is our unique “tank within a tank” design providing for clean and dirty water within one compact size. All Purpose 4 in 1 – Dry, Wet, Spray extraction carpet cleaning and upholstery cleaning / car valeting. Tank Within a Tank – Simple, clean and efficient. This unique design allows an easy to fill and quick to change system. Compact – Easy to store and always on hand, ready for anything. Professional and Powerful – Longlife professional TwinFlo bypass motor. On the Move – Large rear wheels provide stability during transportation. The CT470 is equipped with a handy folding handle, great for moving, great for storage.